So you’re in the garage, spinning a few wrenches and your hands are disgusting in every possible way. You need a snack. 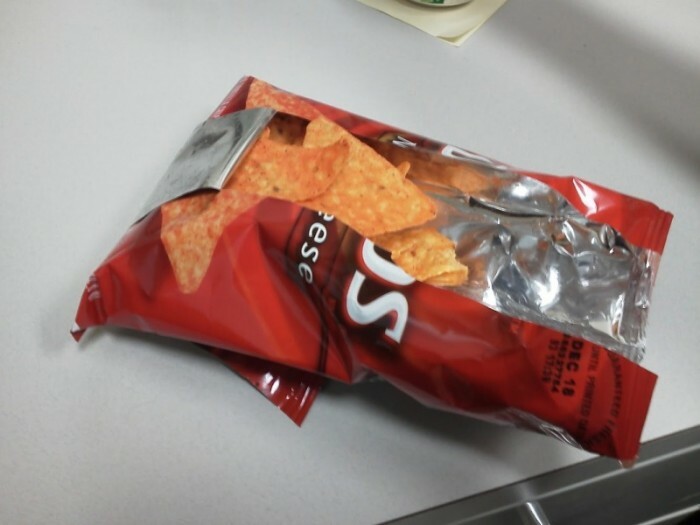 But, if you just pop open the top of a bag of delicious Doritos and eat it like a normal human, you will be scraping the gear oil off of your hands and lubing the insides of the bag. Gear oil does not add the flavor that you want – ever. I’ve tried it. You should not. So, being resourceful, you add a couple slices to the top of the bag, and tear the entire side of the bag down, folding it under the itself. Now you can easily eat Doritos without scraping the gritty, automotive flavor onto your cheesy chips. ← RX-8 In the Snowy Wilderness.